When it comes to fashion, one of the many things women love about summer is the endless variety of cute sandals they can wear. And how wouldn’t they – sandals are comfortable to walk in, easy to combine and can instantly transform a dull outfit. They can be paired perfectly well with many outfits – from casual jeans and a T-shirt to a flowy sundress and anything in between. Available in a vast array of attractive designs, summer walking sandals are THE fashion guilty pleasure you should indulge in. Now let’s take a look at some of the hottest summer sandal styles for this upcoming summer. Gladiator – Gladiator sandals have been quite popular for a few years now and they are still used to add interest to a simple outfit. What makes them eye-catchy is their shape and style so if you want to buy a pair of them, there is no need to go for bold patterns or colours as they are already attractive enough. If you want something more discrete, you can opt for a lower cut and still achieve the wanted look. Lace up – These babies are very similar to gladiator sandals but they still have their distinct features. Comfort may not be their biggest asset as their ties may sometimes dig into your ankle, but they certainly are a good replacement for a pair of high heels. Lace up sandals may not be the ideal type to wear all day long, but a pair of them can be the perfect addition to your summer night outfit. Platform – This casual and easy-to-wear style made a big comeback in the world of fashion a couple of years ago. There are plenty of different models, but if you are looking for comfort, one with an ankle strap is a perfect choice as it will keep your feet secure. You can choose from the sea of colours and materials so choose your platform pair based on where you intend to wear them most. For example, if you live in beachside town sandals with leather straps and a woven sole are the best choice for you. 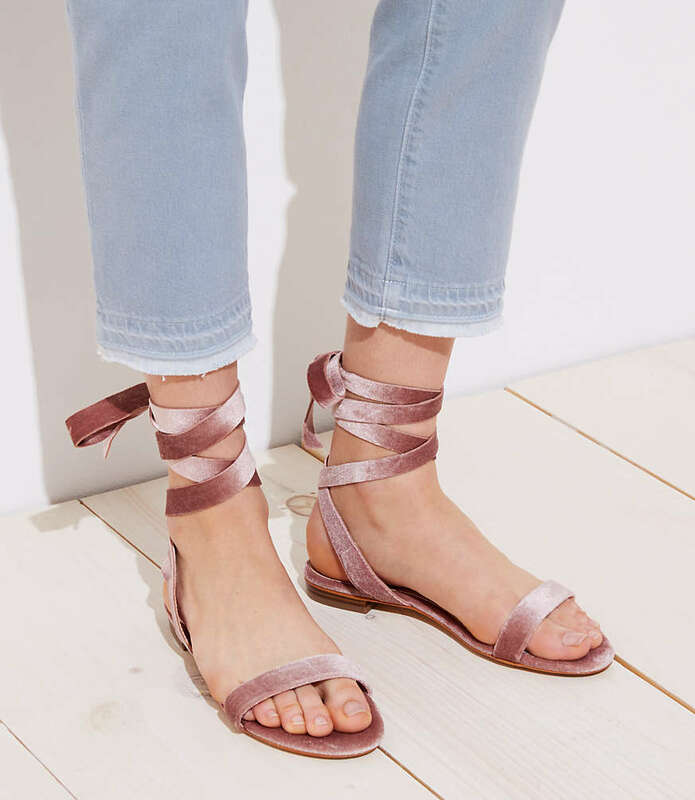 Block heel – If flat sandals are not your favorite choice and you are looking for something higher but still comfortable, then a pair of block heels is just what you need. Stylish and comfortable, these summer sandals will certainly add a dose of charm to your summer outfit. They are a great alternative to wedges and the perfect choice when you want to look higher.